$250KMSRP ! STILL ON FACTORY MSO AND NEVER TITLED. BLACK OVER DISIGNO BENGAL RED AND BLACK EXCLUSIVE NAPPA LEATHER INTERIOR. TWIN TURBO V12 PRODUCING 627 HORSEPOWER AND 737 FT LBS OF TQ ! 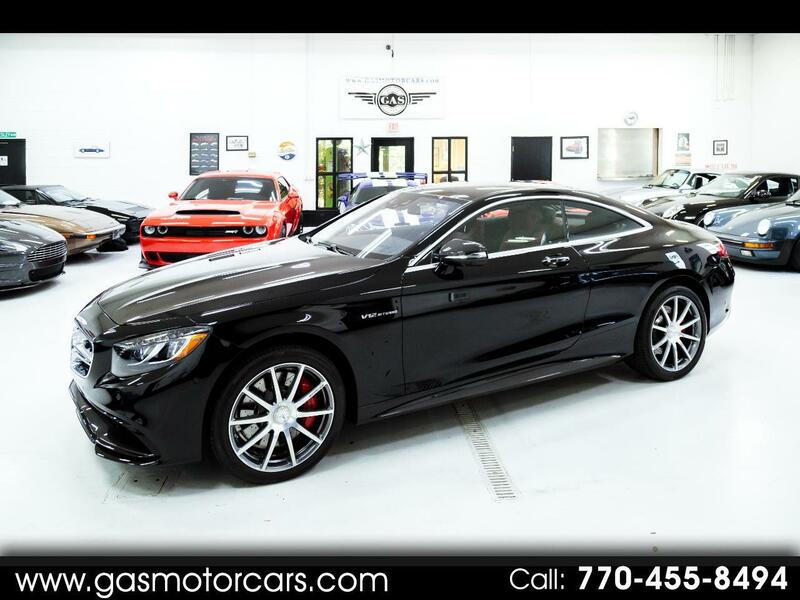 CARBON FIBER INTERIOR AND EXTERIOR PACKAGES, AMG STYLING, RED CALIPERS, BURMESTER PREMIUM 3D AUDIO, 20 INCH WHEELS, AND MUCH MUCH MORE. NO PAINTWORK OR DAMAGE. SHOWROOM NEW CONDITION INSIDE AND OUT. LESS THAN 50 OF THESE WERE BROUGHT TO UNITED STATES. THIS IS ONE OF THE BEST VALUED SUPERCOUPES ON THE PLANET. PRICED AT MORE THAN $100K OFF MSRP! GAS MOTORCARS INC IS A FAMILY OWNED AND OPERATED DEALERSHIP LOCATED IN MARIETTA, GA. WE ONLY SELL VEHICLES OF THE HIGHEST QUALITY. WE CAN SHIP ANYWHERE IN THE WORLD AT THE BUYERS EXPENSE. WE CAN PROVIDE EXOTIC CAR FINANCING TO QUALIFIED BUYERS. WE SHOW BY APPOINTMENT ONLY.